Comments: An excellent evergreen shrub for the Upper South. Cannot tolerate the hot, humid conditions of the Coastal South. New foliage emerges in tones of light pink to green. 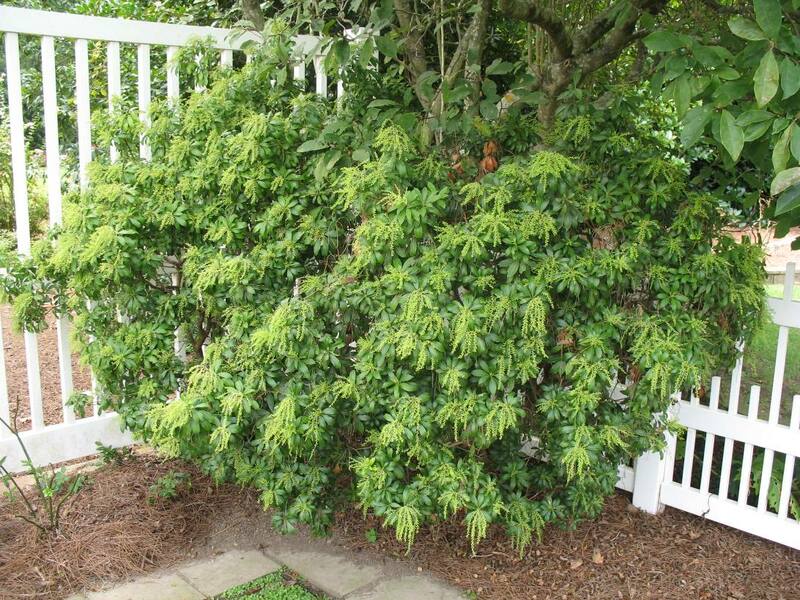 There are always something going on with Pieris --early spring foliage color, flowers, and dangling racemes of seeds for the remainder of the year. This cultivar is reported to be quite hardy to cold temperatures.